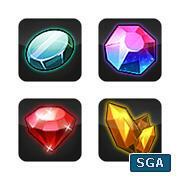 These gem icons, contain wide variety of gems and crystal of different shapes and colour. Each also has different grades of basic, high quality, epic etc. 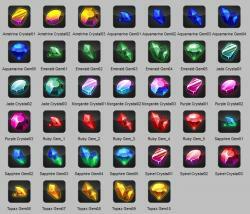 can be renamed to match the gems or items in your game. See screent shot for each icon design and names. These are well made. Are you the artist that created these for SGA? If so, kudos. I like that this free sample contains many of the colors most used in games. The solid background together with the shine is like a watermark and feels like a try to get people on your site, paying for just having the background transparent. Sorry, no. This is not how OpenGameArt is supposed to work. Please post USABLE images without watermarks. 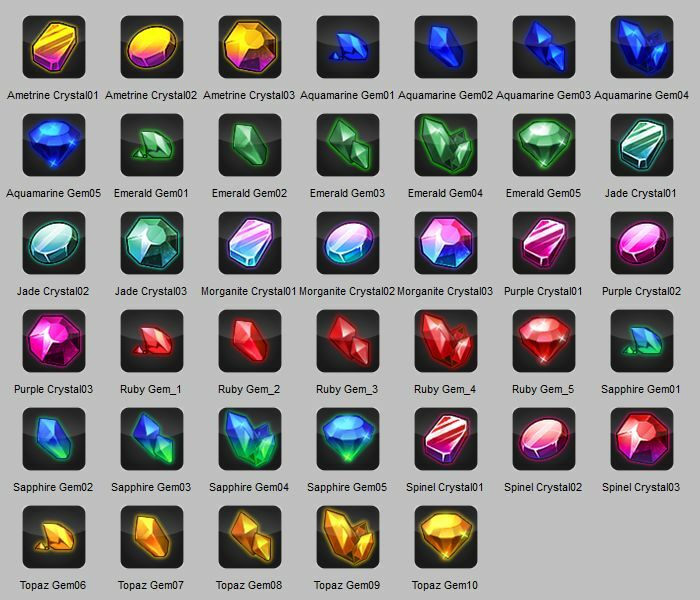 I agree with Bonsaiheld, the white shine across the top half of the icons makes them hard to use in a game, along with the solid background. Plus the fact that you have to PAY for the full set gives the impression that you're using OGA to make money for yourself. That isn't how the this site works. It even says in the submission guidelines not to post watermarked or unusable art, and not to provide the usable version on another site, let alone PAY for it. Please post a more usable set next time. Hey, based up on the given images, i created some layer masks to get transparent images of those. I saw some new icons on his website. Hi i will use this in my game "Alien Crypto Miner".Thank you for this art.